We’ve been serving our community since 1940, when we opened our doors as Charlotte Memorial Hospital. Since then, our network has grown to include more than 40 hospitals and 900 care locations ranging from doctors’ offices to behavioral health centers to nursing homes. Our focus: delivering the highest quality patient care, supporting medical research and education and joining with partners outside our walls to keep our community healthy. 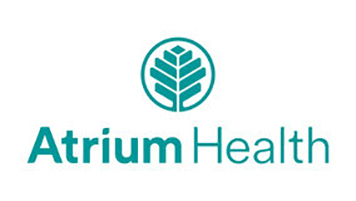 Atrium Health is seeking experienced Registered Nurses (RN) for full-time, part-time and PRN opportunities throughout the system. The RN Clinical Nurse I provides professional nursing care through skillful assessment, diagnosis, outcomes identification, planning, implementation and evaluation in accordance with facility or department policies procedures and/or protocols under the supervision of the nursing leader. Assists in maintaining a safe work environment and performs all related job responsibilities in a safe manner. Maintains clinical and professional competency as appropriate to the population of patients served. • Collects data pertinent to the healthcare consumer’s health or the situation. Analyzes the assessment data to determine actual or potential diagnoses, problems and issues. • Identifies expected outcomes for a plan individualized to the healthcare consumer or the situation. • Develops a plan that prescribes strategies to attain expected, measurable outcomes. • Implements the identified plan, coordinates care delivery and employs strategies to promote health and a safe environment. • Delegates elements of care to appropriate healthcare workers in accordance with any applicable legal or policy parameters or principles. • Evaluates progress toward attainment of goals and outcomes. • Practices in a manner that is congruent with cultural diversity and inclusion principles. • Communicates effectively in all areas of practice. • Collaborates with healthcare consumer and other key stakeholders in the conduct of nursing practice. • Leads within the professional practice setting and the profession. • Integrates evidence and research findings into practice. • Contributes to quality nursing practice. • Evaluates one’s own and others nursing practice in relation to professional practice standards and guidelines, relevant statutes, rules and regulations. • Utilizes appropriate resources to plan, provide and sustain evidence-based nursing services that are safe, effective and fiscally responsible. • Practices in an environmentally safe and healthy manner. • Promotes shared governance or facility decision making activities, developing and nurturing research to positively affect clinical outcomes and promotion. • Graduate from an accredited School of Nursing. BSN preferred. • Current Basic Life Support for Healthcare Provider status according to American Heart Association. • Current RN license or temporary license as a Registered Nurse Petitioner in the state in which you work and reside or if declaring a National License Compact (NLC) state as your primary state of residency, meet the licensure requirements in your home state or for Non-National License Compact states, current RN license or temporary license as a Registered Nurse Petitioner required in the state where the RN works. • Work requires walking, standing, sitting, lifting, reaching, stooping, bending, pushing and pulling. • Must be able to lift and support the weight of 35 pounds in handling patients, medical equipment and supplies. • Must speak English in good, understandable terms. • Intact sense of sight, hearing, smell and touch. • Critical thinking and ability to concentrate. • Must be able to respond quickly to changes in patient and/or unit conditions. • Physical Abilities Testing required.